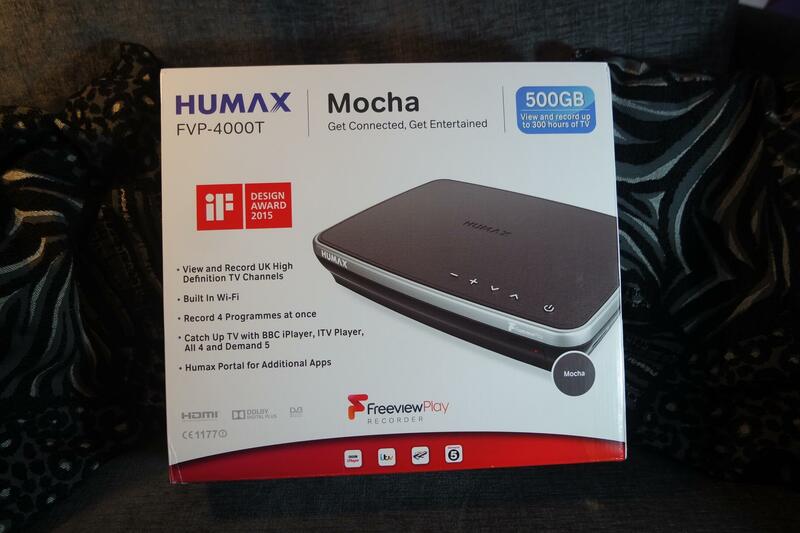 Manufacturer’s Description: Enjoy hours of film and TV viewing with this Mocha Freeview box from Humax. There’s a huge variety of channel options, without any additional boxes or connections, thanks to Freeview HD – with free access to over 50 TV channels, there’s no shortage of things to watch. For increased recording versatility, there’s 3 HD digital tuners that allow you to record up to 4 programmes at the same time whilst watching a fifth live channel, so you’ll never miss a programme. And, when connected to the internet via Wi-Fi you can stream photos, videos and music straight to your TV, great for sharing with your friends. 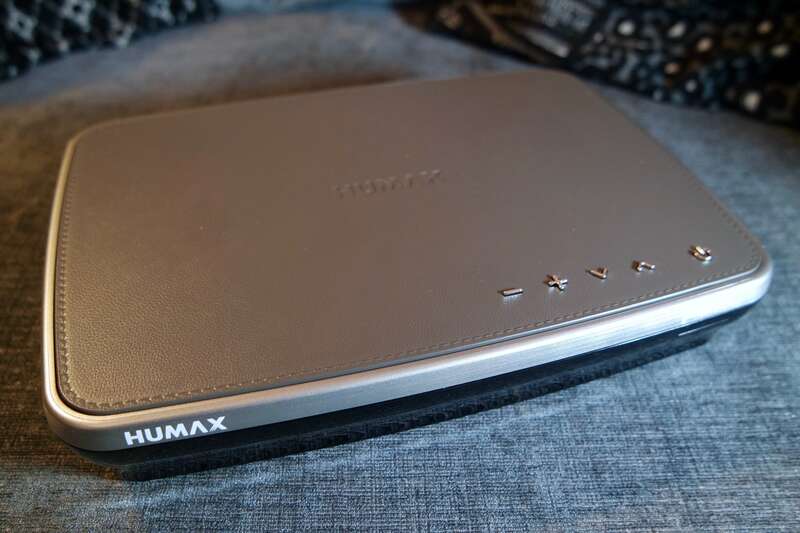 Review: The Humax FVP-4000T is a 500GB Freeview Play PVR set top box that allows you to view and record HD TV using a Freeview aerial signal. We chose the Mocha colour which has a black & silver front and a mocha coloured faux leather top. There are some physical buttons on the top of the box that give you basic control, and an LED at the front indicates if the box is on. The box itself looks great on the shelf – really smart and simple. 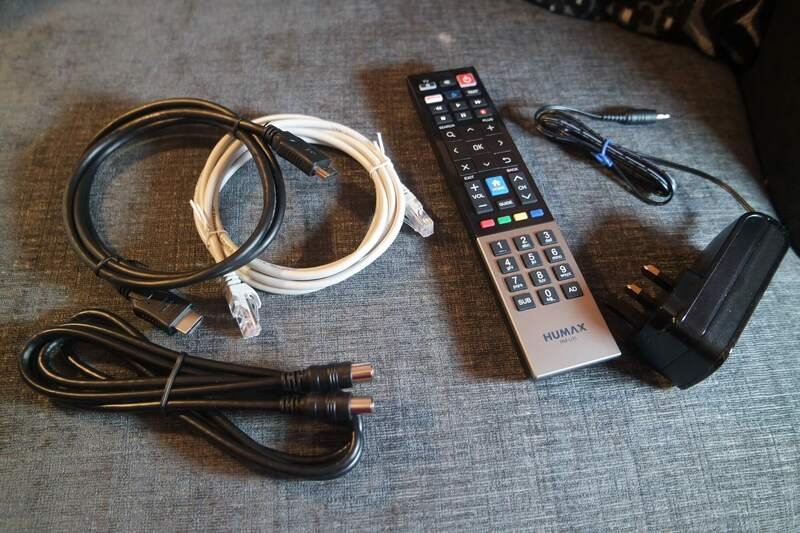 Included with the set top box is the power adaptor, remote control & batteries, quick start guide, manual, HDMI cable, aerial cable and Ethernet cable. 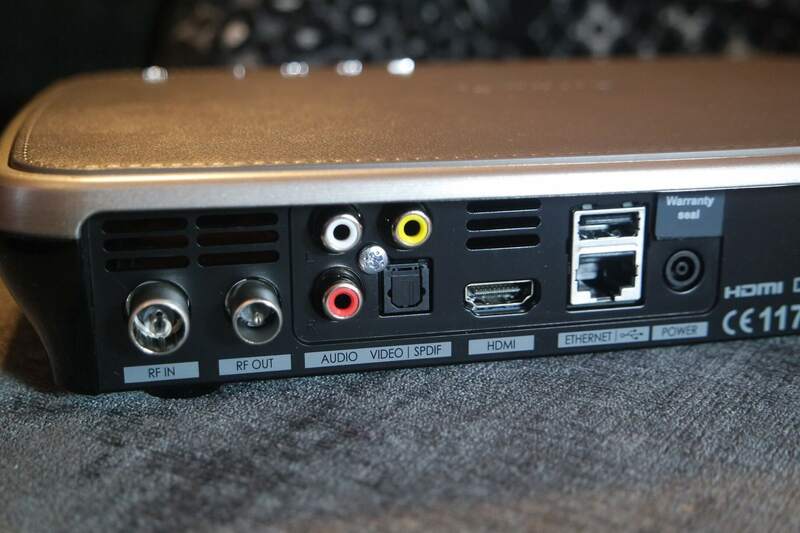 The PVR is network connected with the option to hook it up with an Ethernet cable or wifi. The internet features include video on demand from iPlayer, ITV Player, All 4 and Demand 5, as well as Netflix and a whole range of Humax apps including YouTube & BBC News. You can also access media from media servers on your local network – we have a DLNA server running so this is really useful for us. The remote control is easy to use and well laid out, with dedicated Netflix and On Demand buttons. You can put a code in to control your TV on/off which is always handy – the info and codes are all in the manual. It would be an improvement if it included TV source and volume buttons too, but you can control the box volume which is something. The box has 3 tuners which allows you to record 4 programmes at once whilst watching a 5th one. I’ve never had quite so much flexibility in a PVR before and it certainly helps during prime time periods. You can also record, pause and rewind live TV. Set up was really simple, I hooked up the box to aerial, HDMI & network then switched it on. 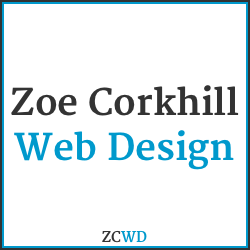 The set up wizard was easy to complete and it went straight into an auto update. As I used the box, each section had a short guide on how it worked, which was really helpful. The user interface is really intuitive and easy to use. 7 day catchup on the to guide is really useful; you can browse back a week and watch tv shows available on demand directly from there. You can skip directly to a particular day in the future or past, up to a week in either direction. Overall we are really pleased and impressed by the Humax box. 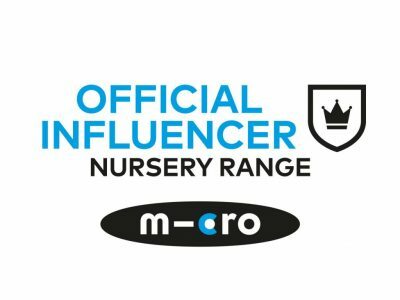 It is very easy to use and packed with features, allowing to access a huge amount of free on demand content, as well as 12+ HD channels, 60+ TV channels, and 25+ radio stations. The price of this box is reasonable, as you don’t have to pay a television subscription service – apart from Netflix, if you use that. Over several months this can be a significant saving on your TV bill.